Part of my 10-year-old brain knew to object, but I also knew I hadn’t heard much in the way of women playing the blues, let alone with a slide sound like hers. Clearly, that comment has stuck with me over the years, and it provided a nudge to dig deeper and learn about pre-Bonnie female guitarists, as well as her contemporaries and those she inspired (female or otherwise). It was a nudge in my own playing too, to just play and not try to sound like anyone else. Bonnie’s songs have of course stuck with me too, especially in the way that she just plain owns them, whether she wrote them or not. Her voice is one of the most grounding around, holding on to life’s blue notes even in the happiest of songs, and making sure the heartbreaking ones still speak of survival, however hard won. Her music is a thread that connects blues, rock, funk and pop (and more), and it can lead you on a path that includes Sippie Wallace, Chris Smither, Little Feat, John Hiatt and Bon Iver (and many, many more) without getting lost. And that’s all without mentioning her activism. At this year’s Grammy Awards, Bonnie not surprisingly introduced a tribute to her friend and collaborator, the late B.B. King. The surprising part came when Chris Stapleton and Gary Clark Jr. then took the stage to perform without her. The amazing part came after two verses of “The Thrill Is Gone” when Bonnie slowly and oh-so-confidently strode out to center stage — while soloing — to join them, or I should say, to let them join her. 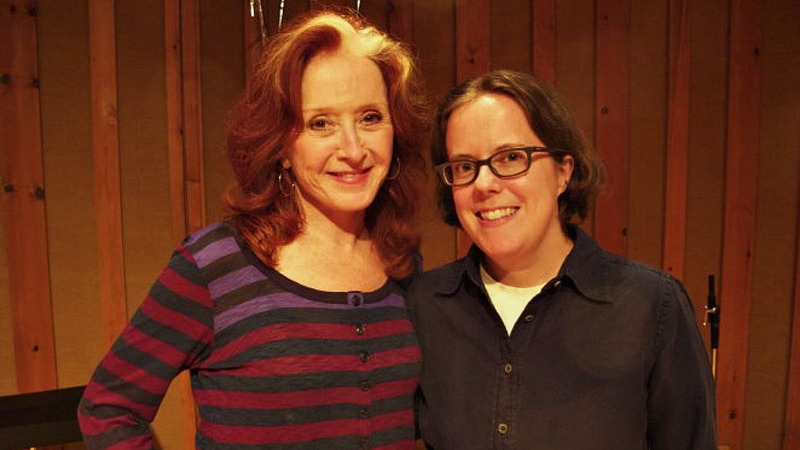 Seeing that, I happily thought: no one plays guitar like Bonnie Raitt.